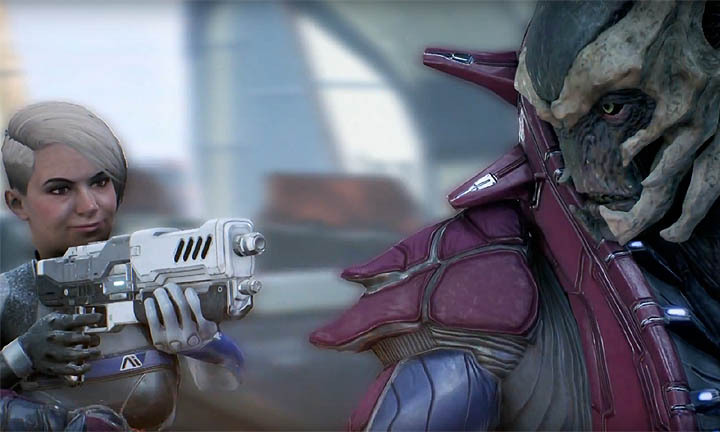 Mass Effect Andromeda's superboss fights occur on each of the major planets of Eos, Voeld, Kadara, and Elaaden. Known as Architect's, these four giant mechanical creatures are reminiscent of the creatures in FFXV and offer a great BOSS fight for offensively minded players. 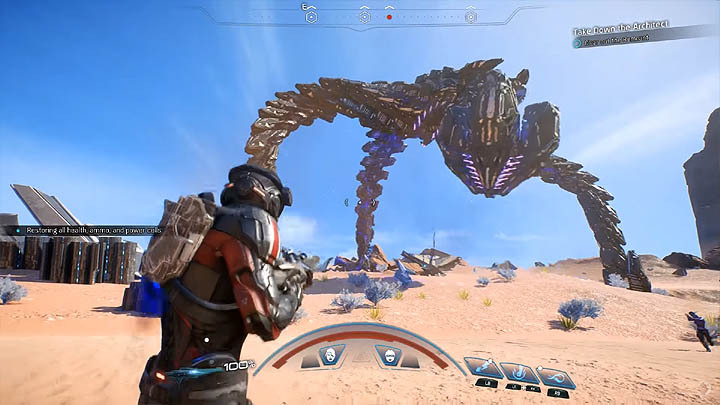 Each of the Architects has certain unlock requirements that players can follow to encounter the BOSS fight with each of the Architects appearing in specific locations on the planet's surface. Successfully killing an Architect offers very rare rewards and great experience points. The Eos super boss is located in the south western side of the planet map. It makes an appearance during the "Making an Impression" mission, accessible once the Priority Ops mission "A Trail of Hope" has been completed. Eos has been experiencing seismic activity and after placing your first seismic hammer, the "Making an Impression" side quest commences, ultimately leading you towards the Remnant Architects location. A nice little introduction quest for your first boss battle! This creature's waves include both Breacher and Nullifier. The Voeld super boss occurs on the far eastern side of the world map. It is triggered by the "Missing Science Crew" mission, initiated by building an outpost on Voeld and speaking to Priya Blake, a colonist stationed there. It is by far the toughest BOSS fight of the four Architects simply because of the cold hazards that restrict your movement as you attempt to kill the super boss whilst staying close enough to the heat lamps to stay warm. This creature's waves include both Breacher and Observer. Occurring on the north western side of the planet map, this Architect is a tough one because of the acid geysers and moving platforms. To encounter this Architect, first speak to Christmas Tate in the Kadara outpost (note, Kadara can only be settled once you complete the main quest objectives involving the Collective and the Outcasts). Tate gives you the mission "Old Skinner" which reveals the way points leading to the Architect site. Located in the center region of Elaaden this Architect isn't as difficult as the others but the Remnant waves can be tricky. This Architect is ONLY available if you give the drive core to Morda in the side quest "Search for the Stolen Remnant Drive Core". This is because you can't create an outpost without fulfilling this objective first. Must interrogate Vehn Terev in "Hunting the Archon"
This creature's waves include both Breacher and Assembler.